I was thinking the same thing, but I wonder what the options are? They did a Civil War Re-enactment Detour in Family Edition, "Heat of the Battle/Heat of the Night." OK, trees and dirt not doing anything for me... so here's some trivia to hold us over till we get more clues. No surprise, the racers are dressed in US Army uniforms. 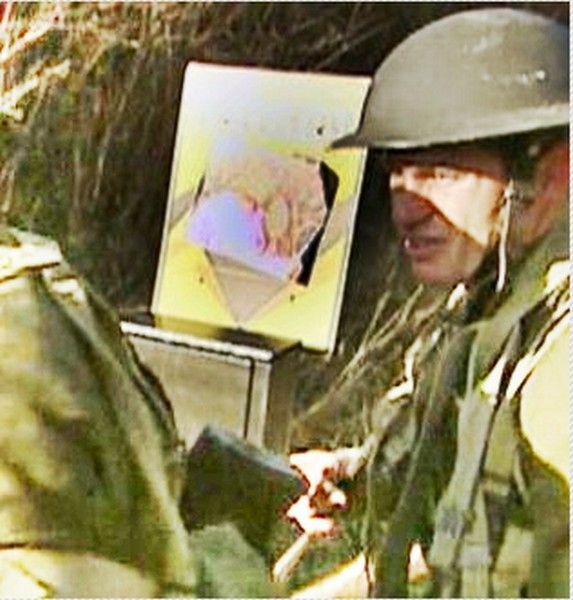 BTW, the shoulder patch indicates that they are in the US Army 1st Infantry Division. ...oh yeah, the guys in blue are the French ...meh, carry on. Have we considered airplane from Hamburg to Paris and then TGV to Lille? If they took the train, shame on TPTB for bypassing Belgium. Brussels is the capitol of Belgium and it is clearly part of the train itinerary. The planes might fly around Belgium, but the shortest route for trains between Hamburg and Lille is through Belgium. If this is a 12-hour-ish pit stop (with all the teams checking in at night, they'd be departing in daytime....and I would hope that TPTB wouldn't expect them to be driving with hangovers after all of that beer. The previews are daylight, which suggests either a longer pitstop, or a bunching on arrival in France. If the pitstop is longer then self-driving becomes possible, although I think TPTB have greater control over arrival times if they leave by train. The 9:00 am trains may be too early for all of the teams to make, though, with all of the tasks they had in this last leg after arriving on the train from Frankfurt; I don't think any of the teams finished by 9pm at night. I don't know if mine is better or worse?? But I'm thinking Steve and Allie too. ...or maybe Joe and Heidi now. If it was indeed Steve & Allie or Joe & Heidi turned out to be Blind U-Turn Victims.... BIG MISTAKEEEEE!!!!! U-Turn Jet & Cord!!!!! 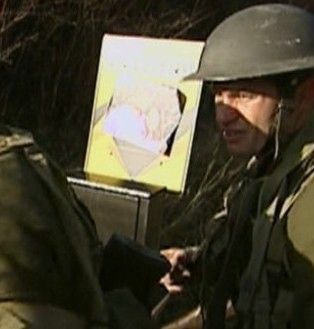 Always target the strong team!!! Keep weak teams in the race! But, I'm glad that a team made a bold move! There won't be a karma if a team made a strategic move unless an U-Turned team survived then.... uh-oh. There are quite a few explosions in the preview, and lots of activity that would seem to be destructive to an actual historical site. Seems very likely to me that this is some type of constructed site. also, I read in a post somewhere that Jordeff get knocked down, but then recover (i.e. recovering from the speed bump and surviving this leg). ETA: Boingo posted about this already! There might be a couple of things at the other two websites I posted to check out! Good advice if feasible. I guess that Jet/Cord continue to stay out front much of the time, which would make it quite difficult for any other team to Blind U-Turn them. Good advice, but you can't U-Turn a team if that team is ahead of you and is past the U-Turn marker before you arrive there. So far the strong teams look like Joe and Cord, Steve and Allie and Joe and Heidi. Can we hope for a sample of "Snoopy and the Red Baron"? Can anyone please post the post-episode preview, please? I hate not having normal TV access. So if the detectives get there 1st..they are mad at J/H also for the line-holding maneuver, and prob know how much they are disliked and a strong team, so i think they could have U-Turned J/H, unless Dan &Bros got there 1st also and did it!! J/H seem to be most everyone's target. Good advice, but you can't U-Turn a team if that team is ahead of you and is past the U-Turn marker before you arrive there. Yes, you can. It has been done before, although it didn't work. And having just looked at that picture of the U-turn board, I believe Joe & Heidi. Every editing moment they are given points to it, and the picture is the final nail in the coffin. I agree - Joe & Heidi are toast. Nobody has any real good reason to U-turn them, but it will inevitably happen anyway. The team photos on the CBS website have always been used by the teams for the U-Turn and the Yield since they were introduced. No, they haven't. I don't recall the website photos having ever been used for this purpose. Usually it's the photos they use to shoot the intro with that are used for U-turn photos (although there are sometimes exceptions). If you look back at one of the Yield/U-turn stand ups (with Phil explaining them) you can see all the team photos used. Hooky is correct. I recall different pics used. 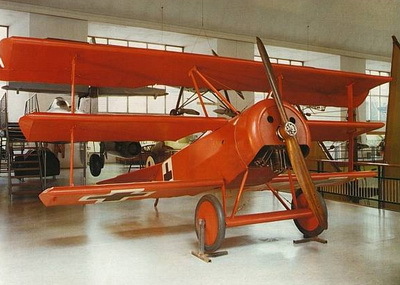 looks like they are using a Fokker Triplane made to look like the one the Red Baron used. Hint, look for armchairs in France! Doesn't look like Lille to me. 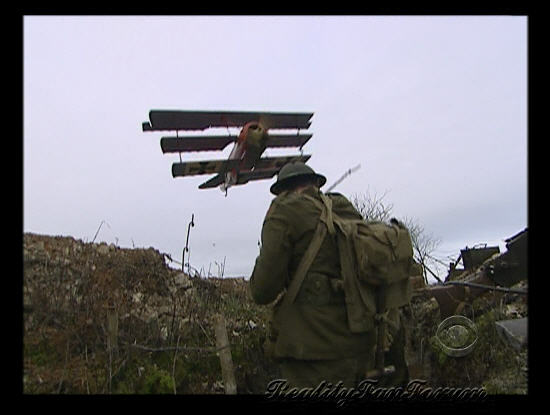 "I Think We're Fighting the Germans, Right?" 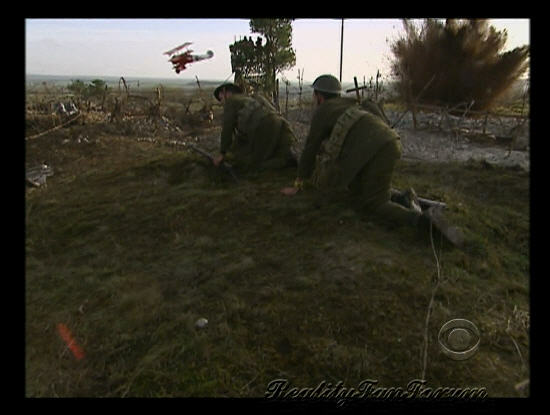 (France) — A World War I reenactment — complete with air attacks, gunfire and explosions — tests the Racers' nerves, and one Team finds that their cocky attitude may cost them dearly when a Blind U-Turn comes into play, on THE AMAZING RACE, Sunday, March 14 (8:00-9:00 PM, ET/PT) on the CBS Television Network. Phil Keoghan is host. I'm seeing the inside of a bus... bus then self-drive? I thought maybe Louie was quoting from "Apocalypse Now," but the original line is "I love the smell of napalm in the morning." Here is the episode preview with a big for the help!! Oh just saw yours Sailing... SO much!